Zoocation 2015 began with our east coast 5AM flights to Dallas – first stop the Dallas Zoo. We arrived just in time to join the media frenzy for the debut of little Kipenzi the Giraffe. We met some wonderful warm people and got to see a few special things including an up-close visit with their cheetah and companion dog. 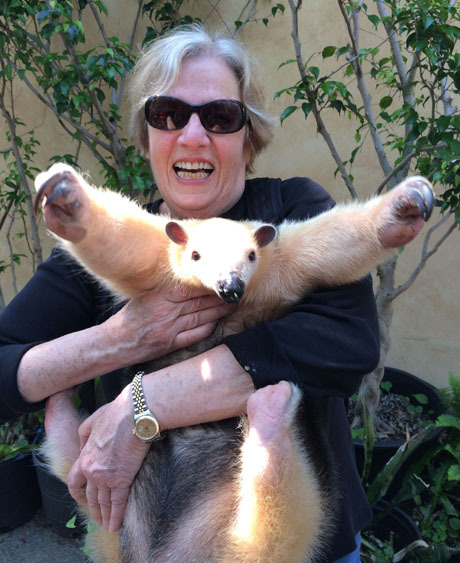 I must admit my favorite thing was seeing MJ the adorable Tamandua who was born at the Staten Island Zoo living in his new home. He is the darling of their education tractable program. A shout out to Janelle, Harrison and Allison for a super visit. A wonderful montage. Especially love the tamandua, the baby giraffe and the leopard/dog story! Thanks Judy. Cant wait to see where you go next.